Now that StradE BianchE is behind us - the race was Saturday and Italian Moreno Moser (Cannondale) won - we have another year to learn how to spell that Italian race correctly (the mispellings were rampant and entertaining). We can now move on to dispelling another common error - please don't use "Holland" for the Netherlands. This link above came from my dear-old friend Annelies yesterday, who is Dutch but lives in Belgium now. Annelies and I lived together in Balikpapan, East Kalimantan, Indonesia, oh about 24-years ago. Having friends who live around the world is a pure joy and broadens my life and knowledge tremendously. I have fond memories of the influence of food and language between the Netherlands and Indonesia while living in Indonesia (a previous Dutch colony). Like many travelers I also have a love of geography and zanny facts (12 below from National Geographic and other sources) and make constant discoveries of how misinformed I can sometimes be. 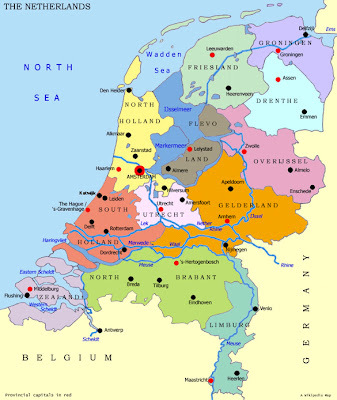 Netherlands is the most densely populated country in the world, followed by Belgium, then Japan. If it were not for the massive dikes and sea walls to hold back the sea, 65% of the country would be flooded daily. More than 2,400 kilometers (1,491 miles) of dikes shield the low, flat land—almost half of which lies below sea level. 60 percent of the country is farmed, with super-efficiency, by just 2 percent of the workforce. Only the U.S. and France export more agricultural goods. 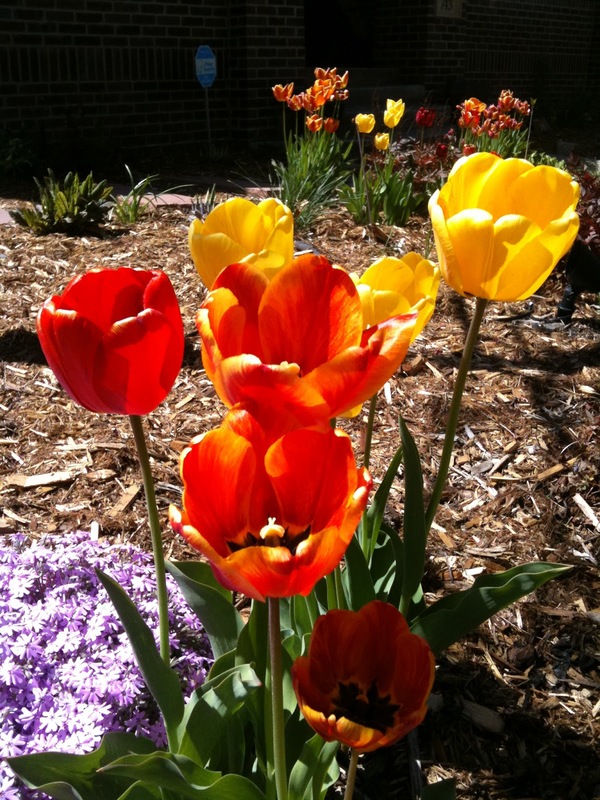 Products: Grains, potatoes, sugar beets, fruits; livestock; tulips. Amsterdam is the capital and largest city. Rotterdam is the world's largest and busiest general-cargo port. According to Forbes.com Amsterdam was the 17th most visited city in 2012. Tourism is a big industry in the Netherlands. Three of the top 10 most famous paintings in the world are by Dutch Artists. Night Watch (Rembrandt), Girl with a Pearl Earring (Johannes Vermeer), and Starry Night (Vincent van Gogh). I have been fortunate to see all three. The story of Hans Brinker, the little boy who held his finger in the dike, is complete fiction. A story created by American Mary Mapes Dodge in 1865 (the year our Civil War ended and our 13th amendment was passed to end slavery. I guess she needed a distraction). Some well-known Dutch cuisine include: hutstop (beef stew), erwtensoep (split pea soup), bitterballen (meatballs), pickled, salted herring, smoked eel, Edam, Leiden and Gouda and Limburg cheese, ontbijtkoekm and poffertjes (cakes), and my favorites - pancakes (for dinner!) and speculaas cookies! 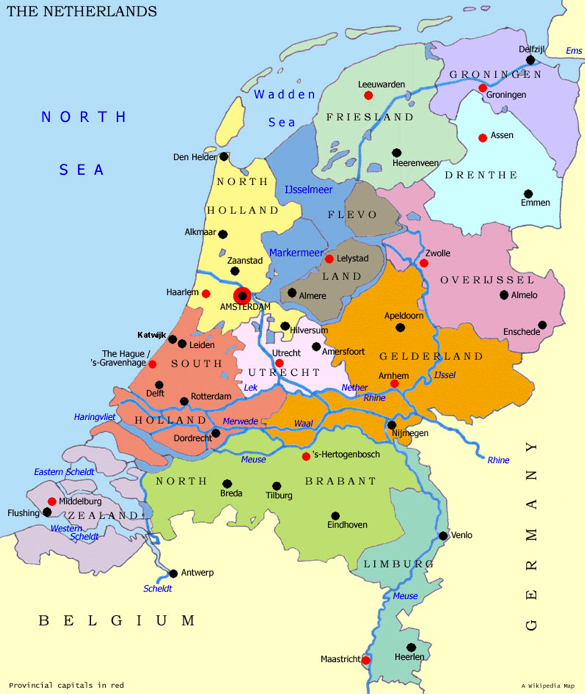 I am an American who lives in the United States, they are Dutch who live in the Netherlands (no caps on the t). The average height of American males is 5ft 10in, the average height of Dutch males is 6ft 1in. And thus why I probably should move to the Netherlands, since the average height of males in my family is 6ft 7in (that's not a joke). Dike vs dyke: According to grammarist.com, in American and Canadian English, dike is the preferred spelling of the noun referring to (1) an embankment used to prevent floods, and (2) a low wall dividing lands. Dyke is the preferred spelling in all other main varieties of English, but in America means a lesbian. Netherlands and Nederlands - same country, again, it depends who is saying it. 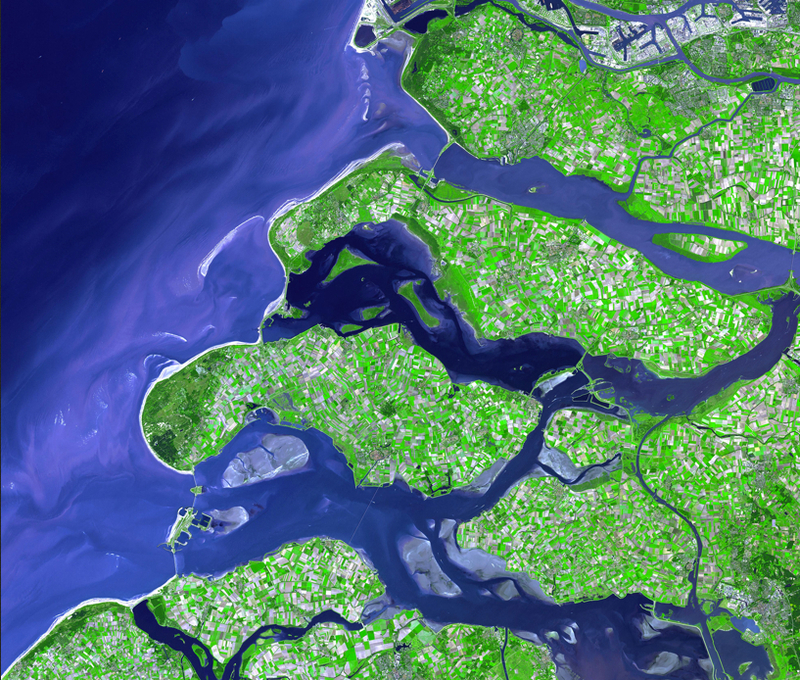 A photo by NASA shows the dikes as long white lines holding off the North Sea. By the look of this map, commuters would need a bike and a boat to get anywhere. Spring means the Classics in the world of cycling and the Netherlands has Amstel Gold - 14 April 2013, the only Classic held within it's borders. The Blanco Pro Cycling Team is a Dutch professional cycling team. Eighteen of their twenty-nine ProTour riders are Dutch. Nineteen of their twenty Continental team riders are Dutch. I like the idea of a semi-national team, in a time when so many teams are of mixed nationalities. Niki Terpstra (OPQS) is the current Dutch National Road Race Champion. We should all know the name Marianne Vos - the current Olympic Gold Medalist, World CX, World Road, World TTT Champion, Dutch National Road and CX Champion. Makes me wonder why anyone else dare show up to race when she is listed on the roster. Marianne Vos is arguably the best female cyclist of all time, (Marianne Vos: Is she the world's greatest cyclist? By the BBC). 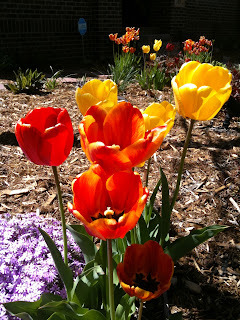 Spring is 17 days away and tulip bulbs will be blooming soon enough. We can thank the Dutch in the Netherlands for that. Please note (Willie) how I did not even mention beer in this entire post, although they have that too, obviously, or they wouldn't have the Amstel Gold race. [Amstel brewery was founded in 1870 in Amsterdam, named after the Amstel River, it was bought out by Heineken International in 1968 and produces 36 million liters of beer a year]. But since I'm back on the topic of beer, I forgot to mention in my post two days ago that 21-year old American Joe Dombrowski's favorite meal is pizza and wine, not beer - what are they teaching that kid in Europe? He's probably using a fork and knife to eat his pizza these days as well, which according to New Yorkers should always be folded and eaten by hand! Vive la cultural différence. Milan-San Remo 2013 - this weekend!